Have you ever found yourself having this thought? You try so hard to be the good Christian you strive to be but find yourself falling short. You lose your patience. You speak out in anger. You struggle with giving it over to God. Perhaps, you even have skeletons in your past that you feel guilt over. Oh sure, you KNOW that Christ has forgiven you for your sins, but you struggle to forgive yourself. You strive to be a light for God and live by His example, but how can God possibly use someone so messy, so imperfect, so flawed!? The reality is, the Bible is packed full of less than perfect people that God used for good. He did not pass them over for their messiness but instead met them where they were and used it to show His grace and His goodness. We may think that we're the wicked stepsisters and feel like God wants only the Cinderellas, but He uses each and every one of us. 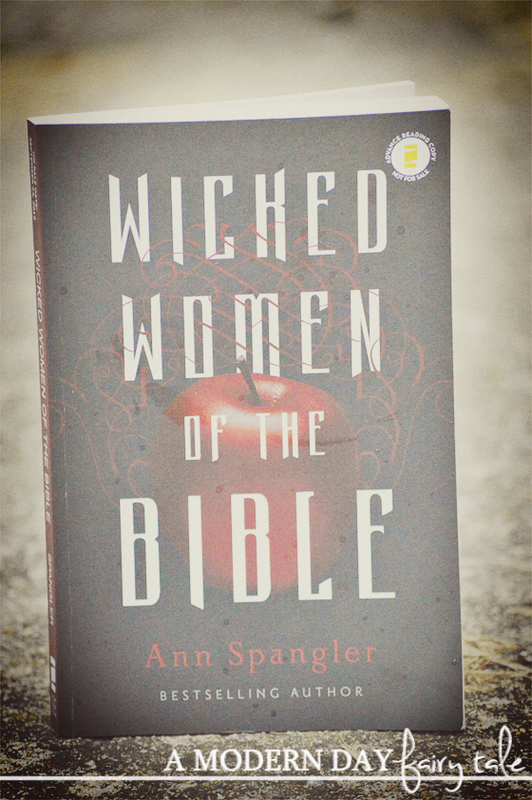 These are just the stories we hear in Ann Spangler's Wicked Women of the Bible. I know they say never judge a book by it's cover, but I have to admit that the title and cover of this book definitely drew the fairy tale fan in me in. I could not help but think of all of the wicked women in all of my favorite princess tales. These tales are full of drama, full of good versus evil and full of fun. The Bible is no different! Actually, if you really think about it, the Bible can often read like a modern soap opera... betrayal, secrets and wicked women! I loved taking a closer look at the stories of these wicked women of the Bible (and wickedly good women too!). Not only did the book tell these stories in a way that was easy to understand and entertaining to read, but it also gave a bit of historical background to the time in which they lived. For me personally, this is extremely helpful in helping to understand these stories on a deeper level. We are in such a different time and place now than these women lived in that it can be hard to truly grasp not just what happened, but the significance of their actions. If you're looking for a way to dig deeper into the stories of the women in the Bible and see how God used them- both the good and the wicked- Wicked Women of the Bible is a fantastic resource. Wicked Women of the Bible will be available on September 22nd, but you can preorder now at Family Christian! I want a journaling Bible, thank you for the review and giveaway! I am so in love with their throw pillows and pillow wraps!! Every time I go I pick up one lol!! I have the craziest couch ever but it's so inspiring!! They have great books and videos.